Okay, so there were no “blahs” and I am paraphrasing and leaving out the context, but putting it in context made no difference. I read it again. I even tilted my head to one side and squinted—we all know that a tilt of the head and a squint improves eyesight and brain function. It was something about small windows and big pictures and the ability or inability to see through them or see them, honestly, I was so confused. Whatever the status was supposed to be, it missed its mark. Its intended meaning indiscernible. What, I assumed, was meant to be thought-provoking and deep , turned into a joke that lives on today (well, it did at least leave a lasting impression). 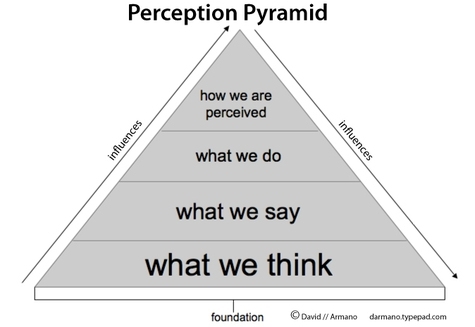 As we continue to evolve into a society more and more reliant on the written vs. spoken word, the importance of perception plays a bigger role. The understanding of what our words imply vs. what the receiver infers can often be as different as if it was spoken in a foreign language. This inevitably causes disagreements, arguments, and fights—sometimes of world-war proportions. Write just enough to convey your message without being too wordy. This leaves less room for misinterpretation. It is easier to add words to explain, than to explain words you’ve already used. Proofreading isn’t just about correcting typos and missing punctuation, it’s also about ensuring that your words achieved their goal. If at all possible—your message isn’t confidential—ask someone to read it. If it’s really important, ask several people. Since it is almost nearly impossible to convey emotion in writing, it is best, particularly in professional communication, to rely on simple facts. Do not try to sound more intelligent than you are by using words you wouldn’t normally use. The misuse of words dilutes the message, sometimes turning it into a joke (see example at the top). Perception is a two-way street. Just as it’s the responsibility of the messenger to ensure succinct delivery of his/her words, it is the receiver’s responsibility to make every attempt to understand it. The receiver should read thoroughly, not make assumptions, not allow emotions to create a reaction, and ask questions when necessary. Words can come together to express our thoughts and feelings. They can also incite thoughts and feelings within us. Their power is immeasurable and because it is, we must all do our best to use them for good. Check out Write Media for writing tips and even a little humor here and there.